Treasure Valley police, firefighters, paramedics, and dispatchers gathered this afternoon for the Idaho First Responders Conference in Meridian. The event at Forward Movement Training Center was meant to help break stigmas while promoting good mental health, wellness and stop suicide. More first responders are lost each year than lone of duty deaths. Ada County Dispatcher, Shandee Votaw, says she knows first hand what it's like to be in a high pressure situation. “My first very large call was an officer involved shooting. The Corporal Holtry call and Corporal Davis and Jardo. I was the one that was on the radio with that. I was only in the department for nine months at that point so I got a very kind of quick trial by fire," Votaw said. 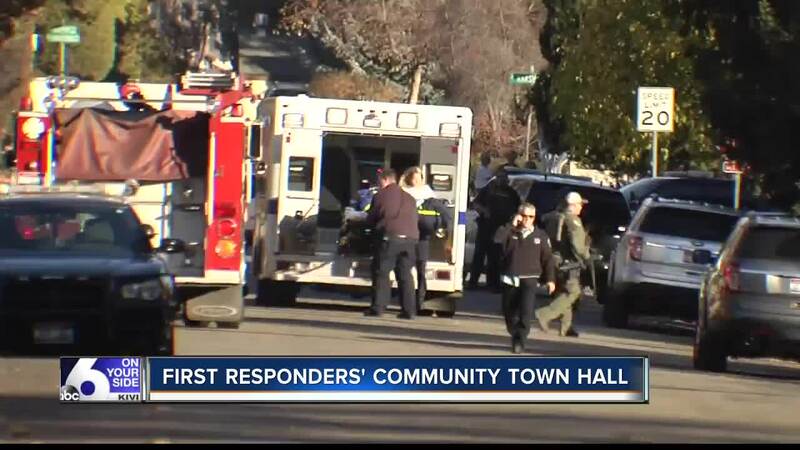 There is another first responder conference being planned for sometime this fall in Boise. We’ll be sure to keep you updated when a date is released.